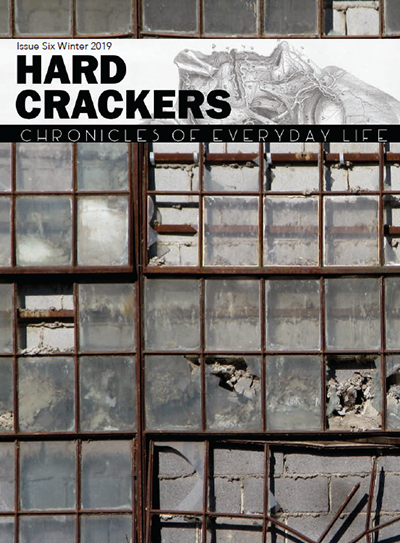 HARD CRACKERS- What a Waste! Apparently, much about her military career has been kept more or less secret—since she was working on various “Special Forces” operations. She did this while raising two boys, now ages 3 and 18 months, and, for a time, battling cancer. But what was she given an opportunity to do with those talents? Put simply, to find the imagined or real enemies of the US state and to find out what they knew and, when needed, to kill them. That hardly seems to be a worthwhile life for such a woman or for anyone. So many other things that she might have done! I’m sure that the husband she leaves behind will mourn her and miss her terribly and, in all likelihood, be proud of what she did. And, eventually, her two boys will hear the stories about their mother and be both sad and proud. Rabbi Ben Ammi, now deceased, was the leader of a group my big brother still associates with. They call them selves (variously), The African Hebrew-Israelites, the Original African Hebrew-Israelite Nation of Jerusalem, The Kingdom of God, etc. Like, what is a “hero?” Vietnam Vets complained, when they returned from Nam, that they were not give the hero’s welcome that they “deserved.” They were, in fact, booed by those late ’60s, early ’70s anti-system crows that would gather at airports to “welcome” the Vets back, but not as heroes. We keep being asked [Actually, it’s damn near DEMANDED of us] to “honor or Vets,” for serving their country. Years ago, I came to the conclusion–which I still hold–is that Vets who participated in physical war must NOT be honored. There is enough information around for them to have found it. There are enough people around for them to have encountered, who, no doubt, would pull their coats about what The System’s wars are really about. People join the Army for many reasons. A tiny minority do because they want to kill or hurt people. But most don’t. They join because they live in rural or economically depressed areas (such as Duchess County, where this woman lived) with few alternative opportunities; they want to see more of the world or escape trapped, dead-end lives. I’ve run into many vets over the years who credit the Army for saving them from drug-dealing or drug using and downward slide into prison or early death. Once in the Army, the military destroys all individuality and reduces recruits to interchangeable, uniform units. Yet it also creates, again for the worse reasons, comradeship and self-discipline. “Bad” institutions can have good effects and to ignore this paradoxical aspect is, I believe, to lapse into moralizing sentimentality. Malcolm X, for instance, if he hadn’t been incarcerated would have just been Malcolm Little, an anonymous, two-bit street hustler. Prison made him who he became. The Army, to its credit -and unlike the American Left’s favorite redoubt, the university – doesn’t ask what degrees or credentials you have; it ruthlessly and opportunistically exploits abilities regardless of past education. Now we don’t know enough of this woman’s background – maybe she had an advanced degree in Arabic before enlisting – but is more likely that her fluency in Arabic and her other multiple skills came as a result being in Army. Just as few join the Army to kill, few join expecting to get killed. Most soldiers secretly think it won’t happen to them. Of course, we will never know what went on inside this woman’s head. But to call her death a “waste”? Tragic yes, but a “waste” . . . maybe not.